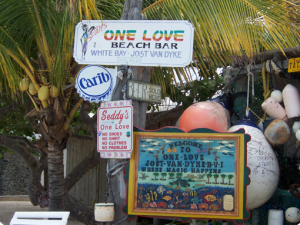 Welcome to Seddy’s One Love on Jost Van Dyke island. No shoes, no shirt, no clothes… No Problem. Lunch all week. Dinner on Wednesdays only. American and Caribbean fare, fresh seafood.